Be At One in Birmingham hosted a VIP Cocktail Challenge this week in celebration of their new cocktail menu which has arrived just in time for the festive season. On a gloomy Tuesday evening, I was invited along to the venue in Piccadilly Arcade, opposite New Street Station. 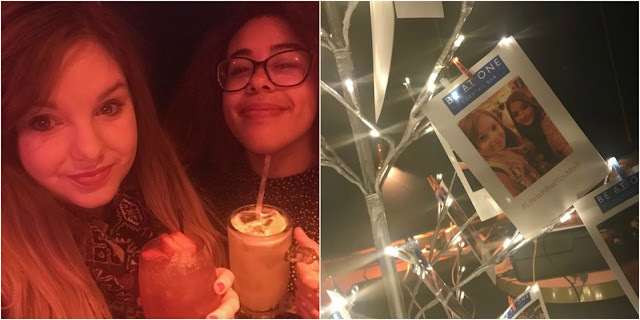 I had been told previously to take along a team with me, so I grabbed some of the best girls I know who A) love cocktails and B) have reasonably good general knowledge. You see, this wasn't just any launch. It was one huge competition to win a whole host of prizes and I couldn't possibly say no to competing. On arrival, we experienced our first taste of the brand spanking new cocktail menu. I went for the 'Better Call Sol', which they say is the perfect solution if you're torn between beer and a cocktail. It's a super cool mixture of Absolut Lime vodka, ginger and lemon, black pepper, Sol and pineapple and it tastes amazing! I am not a fan of beer myself, but mixed with fun flavours, it's now one of my favourites. We then formed our teams, me and the girls went for the team name 'You Can't Sit With Us' (Yes, Mean Girls is still one of my favourite films of all time) and we enjoyed getting stuck in with the games. 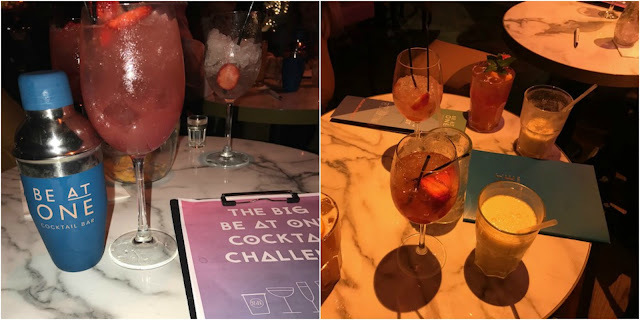 We had to name celebrities, take part in cocktail challenges, one of which included making our own and naming it, and loads more. 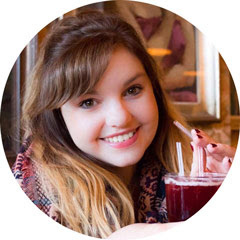 One member of the team, Aimee, had to tell the bartenders what her favourite flavours are in a cocktail and then compete with others for the best tasting one. Another member, Gemma, had to compete with a member of all the other teams for how long they could shake a cocktail - she won alongside two others and I had never been so proud of my best friend - even after 15 years of friendship and two degrees under our belts! 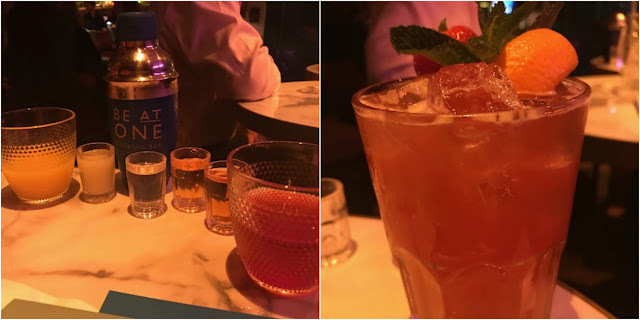 The next cocktail I enjoyed was the 'Kiss From A Rose', which was absolutely delicious! I'll be honest, Rose isn't usually my drink of choice, but in cocktail form, it was much more Bethan. Kiss From A Rose is a gorgeous combination of Haymans Gin, Fever-Tree elderflower tonic, rose wine, pomegranate and strawberry and cucumber. It was super refreshing and I really enjoyed trying something a little different. With a few more competitions underway, which by this point was a packed bar, we also enjoyed printing off our own Polaroid style photos. Although we didn't win any prizes, we did come third place in the quiz and got to enjoy a whole host of cocktails - what's not to love! 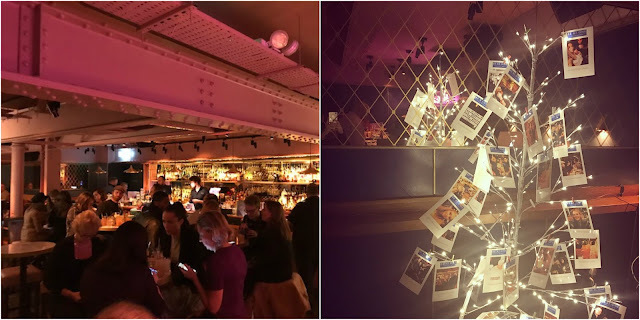 Be At One's new cocktail menu is so full of fun and colour and is definitely worth a try! The bar also offer Mocktails, which a few of our team members enjoyed. The bar is open from 4.30pm Monday to Thursday, from 4pm on Fridays, from 2pm on Saturday and 4.30 on a Saturday.